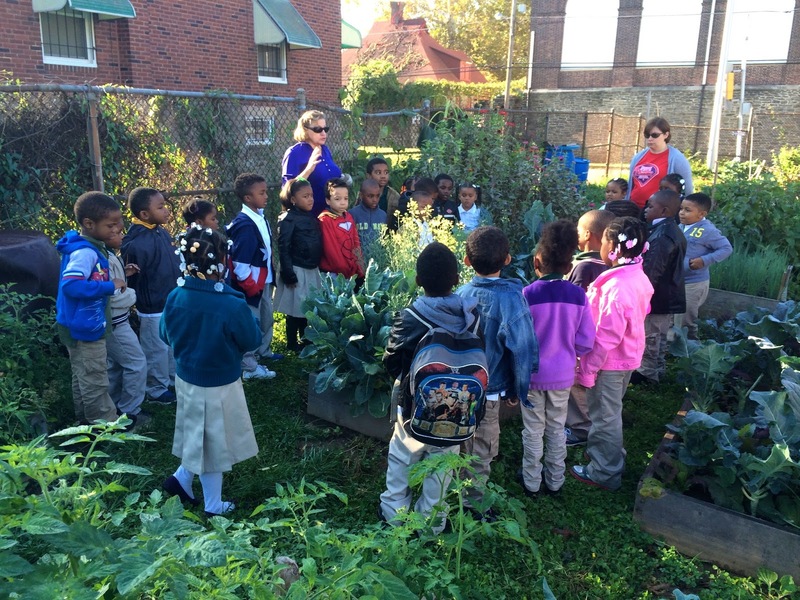 In late Sept/early October the teachers at J.B. Kelly school were given the opportunity to sign their classes up to tour the expanded school garden. 9 classes from K to 2nd Grade with their teachers were taken through the garden for what I call an adventure in vegetables. 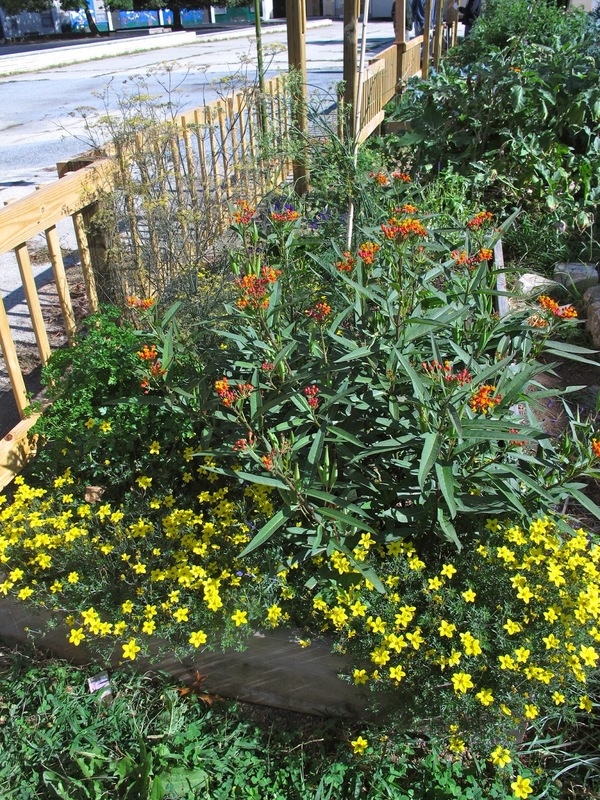 Although I had a class on growing and vegetables prepared, the garden was full of bees and butterflies. Therefore, I switched gears and allowed them to wonder, ask questions and answer my inquiries about two types of bees they were seeing. When asked what they were doing many answered "getting nectar" which was a delight. And finally, the importance of bees in the garden for honey and pollination and how their are also different kinds of bees. And no we can't pet them or touch them as well as running and swatting at them. A bee on the………Can you say "Aslepias"? 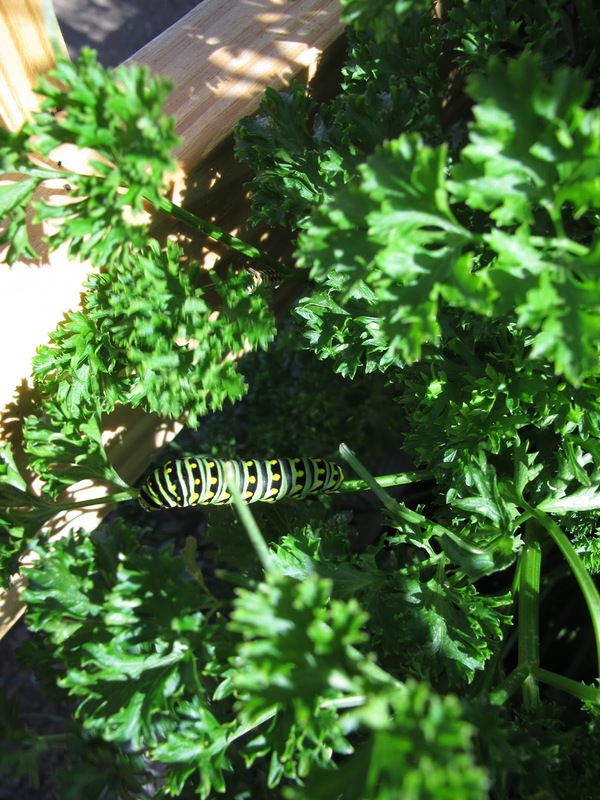 Next were the ohhhhh and ahhhh of the Monarch, Cabbage Butterfly, Painted Lady Butterfly sightings and yes we found a few caterpillars. has become the most exciting part of the students experience. The teachers have done a great job preparing them with words like pollen, nectar and other adjectives to describe things they see, smell and touch. Having the fence is a wonderful way for the students to take a peak during recess and see what is visiting at that time. They are looking for the caterpillars.as we Some of the students are very protective of them when others students that have not had the tour want to touch them or pick them up. 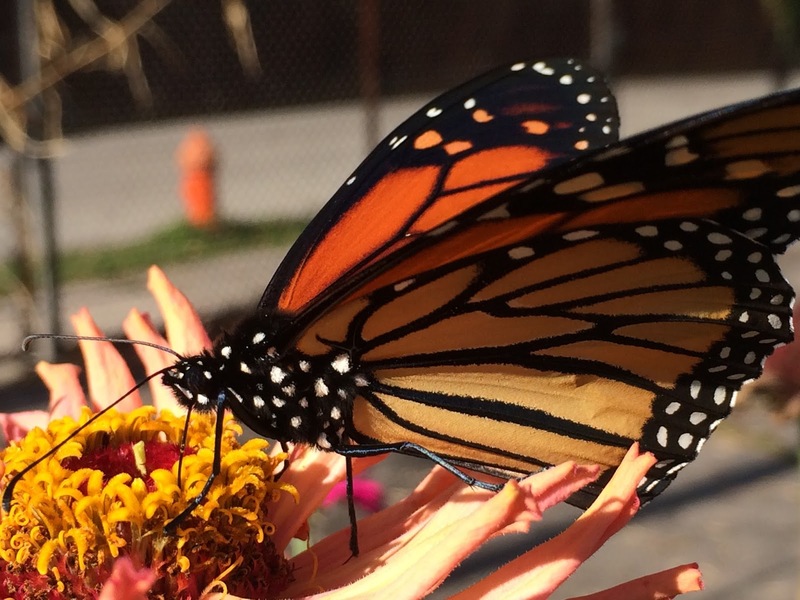 "Remember they are delicate and need to eat to grow into a butterfly." an American Lady has 2 eyes can you tell which one this is? A lesson in what is growing in the garden. Tasting, touching, smelling and, as one teacher said, "use your eyes to observe" are all lessons that the students take back to the classroom for discussion. 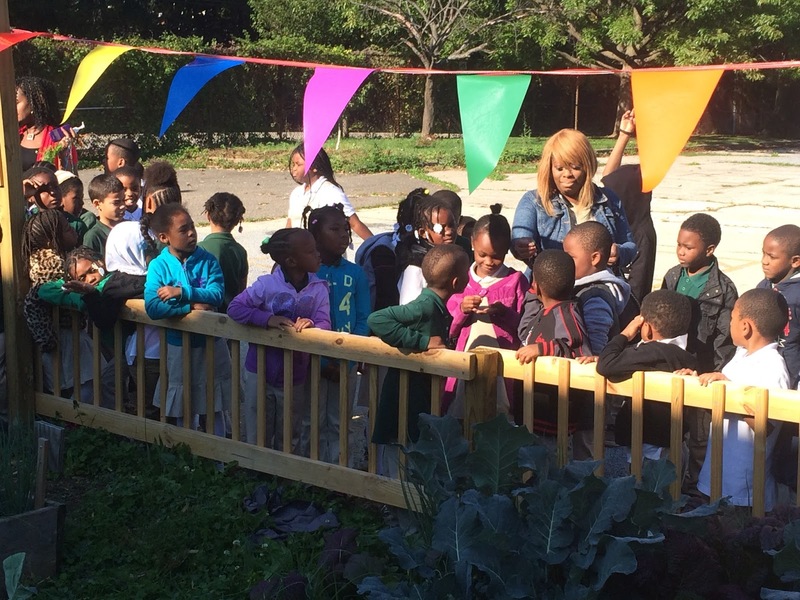 The interest of the students can be seen in their excitement and wanting to touch and smell and also taste those foreign vegetables like swiss chard, kale, and yuk mustard greens. Smelling and tasting basil and mint and, of course, can I have a flower from the Garden? This is called a turban squash does anyone know why? This is beginning of year 3 for the garden and the many changes have occurred since the spring of this year. Thoses changes have made this area not only a garden but the beginning of an outdoor learning center for the school and its students. It will take a few more volunteers to make it a true learning center for nutrition, and horticulture but it can be accomplished. 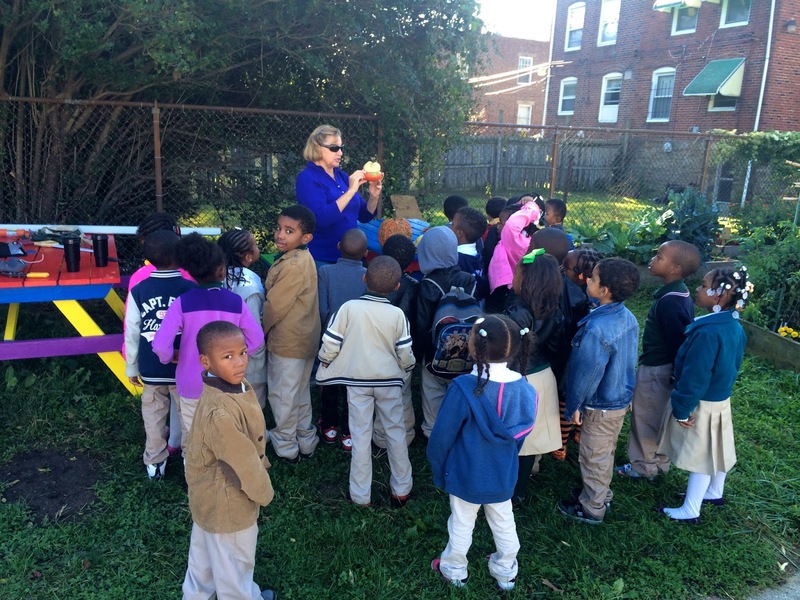 School gardens can become an invaluable teaching tool not only by science teachers and health nutrition teachers. They can begin to change the entire schools culture and provide the students and community with a point of pride. While looking for information on school garden resources, I found several online sites of interest. 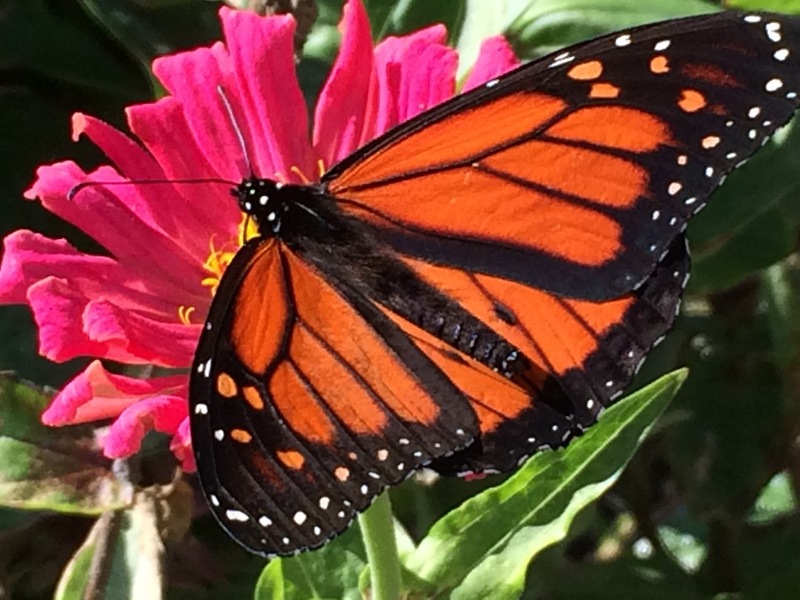 If you are thinking of starting a school garden, these may help in inspiration. For more stories about the Kelly Green Project check our previous blogs.